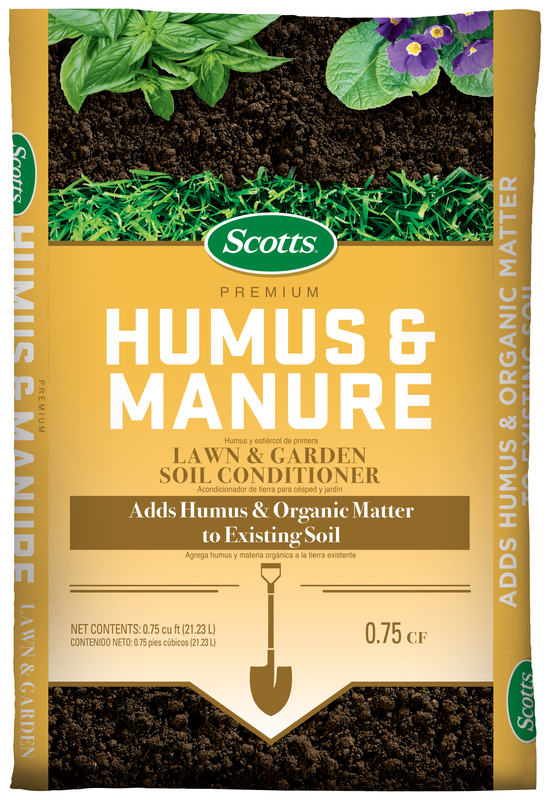 Scotts Premium Humus and Manure is a soil conditioner enriched with humus and organic matter to condition the soil in your lawn or garden. Use it as a top dressing to maintain your garden or as a conditioner when establishing a new garden. For in-ground use only. Use it to condition soil for gardens and new lawns.